For acclaimed modern rock quartet Honor By August there is a lot in a name. The “August” in the Washington, D.C.-based band’s name refers to another interpretation of the word: to inspire awe or admiration. Taken as a whole, “Honor By August” means to ‘earn you honor’ by doing something admirable or awe-inspiring. “The name informs our music in several ways. We all believe in doing things the right way, with integrity, and making music that comes from a place of real inspiration,” says frontman Michael Pearsall. On their latest release, “Monuments To Progress,” the band does just that. Honor By August delves deep and delivers its finest collection of emotionally charged rock. 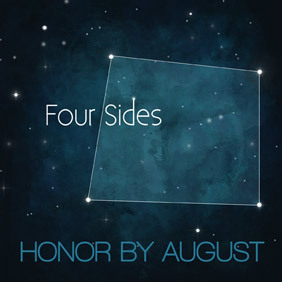 Honor By August’s blend of atmospherics and anthemic choruses have drawn favorable comparisons to U2, Kings of Leon, Snow Patrol and Bruce Springsteen. The Washington Post has called the quartet “one of the most promising new talents on the East Coast.” Recently, the band won Billboard’s “World Song Contest.” The group has shared stages with such diverse artists as Imagine Dragons, Bon Jovi, Switchfoot, Jonny Lang, Third Eye Blind, Hanson and Parachute. As a main attraction, Honor By August has pulled over 900 into DC’s esteemed 9:30 Club. The group’s music has been broadcast to millions many times over on ESPN, E! and popular MTV shows, and Honor By August has worked with Grammy-winning producers, mixers and engineers including Jack Joseph Puig (U2, Snow Patrol, Rolling Stones), Paul David Hager (Goo Goo Dolls), Jeff Juliano (John Mayer, O.A.R, Lifehouse), Toby Wright (Third Eye Blind) and Jim Ebert (Butch Walker, Meredith Brooks). Honor By August are proud supporters of The Alzheimer’s Foundation of America (AFA) and are one of the many AFA artists who Raise Their Voice for Care. Please click here for more information and to support the AFA in the great work that they do!